Me and The Donald. Some things never change! The trademark hairstyle hasn’t changed. His or mine! Dug up an old picture of me and the Donald. 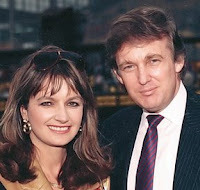 It’s so old that the Donald was still with Ivana when this photo was taken. I remember thinking he was very charming at the time. 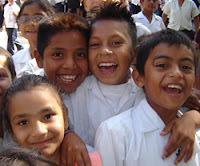 Finally, I figured out how to do a blog, with a little help, okay, a lot of help. Thanks Milton. On this site you will see a link to Sleeping Children, a wonderful charity started by The Dryden Family of Ontario (Ken Dryden's parents). 100% of the donation money goes directly to needy kids, that's what really got my attention.